Southern export schedules held this week but fell back in the north , are maybe signs that the recent frantic peak has been reached and some buyers hold back as the anticipated increase in supply builds. Increased numbers of prime cattle are being offered at saleyards as farmers look to cash in on the beef boom but dairy bull weaner prices at the Tinwald IHC sale were behind recent NI sale levels. Store cattle in the NI are selling strongly with steers all making over $3/kg lwt at Frankton but feed has delayed the prime cattle harvest in the north and processors are sourcing some from southern fields. Mixed price signals from lamb processors  as the slow start to the season has increased competition for stock but with a flat frozen market buyers are cautious in their pricing. Pelt values have stabilized but are only 30% of what they were last year and with big stocks to disperse, have held back lamb returns. Early dryland flocks are drafting steadily and with an increasing supply of new season lambs, prime hoggets have rapidly eased in value at saleyards. More wind and patchy rain this week as cooler temperatures and dry soils over the Canterbury area have slowed growth and grasses have rapidly gone to seed. 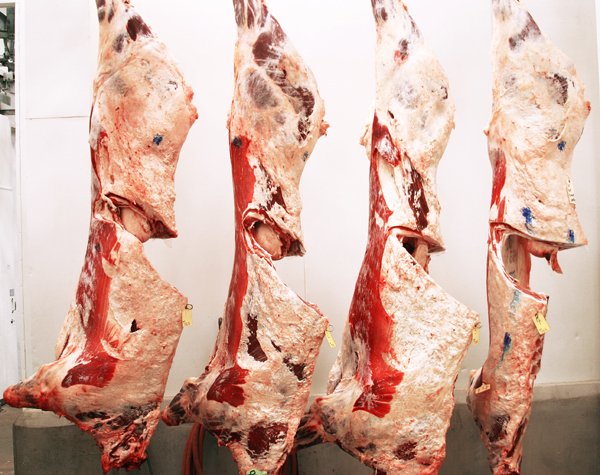 At last some news of ideas to address the red meat sectors issues of overcapacity with a industry proposal that looks to create a moratorium on new licences that is now being studied by all parties. No increase in capacity other than through productivity gains will add value to the existing licences and allow rationalization to take place over time without the horrendous cost. Doug Avery, the lucerne guru from Marlborough reports spectacular growth rates on his lambs many of which are averaging 20kg CWT at weaning. Mutton values have held well and early weaned culls are making $100 av at saleyards with processors reporting good demand from markets other than China. Competition into NZ’s largest sheep meat market has increased with the China, Australian free trade deal, but analysts believe there will be room for all as the global supply of sheep products is falling. A medium South Island wool sale sold at stronger levels  than the last weeks NI sale although merino prices eased to 2009 levels following similar trends seen at the Melbourne offering. Mid micron wools did lift between 1-6% to near their yearly indicator high and crossbred wools also firmed to maintain their recent settled price levels. NZ Yarns has finalized the purchase of Christchurch Yarns as Elders Wools and independent investors and growers secured this company to add to it’s integrated wool business. More big drops in venison schedules  as prices adjust to the frozen market but processors have been happy with chilled sales that even extended to air freight business. Main cut velvet has now nearly finished and now younger animals are being harvested followed by valuable second growth and spiker, grown for the Chinese market.